For many, the path to homelessness can start at an early age. Julie’s home life was troubled and she was exposed to violence early on. She began displaying worrisome behavior such as sleeping in public places and developing unhealthy addictions. Consequently, the Centre jeunesse du Québec sought her out. Fortunately for Julie, she found the support she needed during this tumultuous time at Squat Basse-Ville. SQUAT Basse-Ville offers shelter and short-term accommodation as well as support for teens in difficulty ages 12 to 17, whether they are experiencing high-conflict situations, family rupture or other factors that put them at risk of homelessness. “Our goal is to help them work through their conflicts, assist with any possible reconciliation with their family, as well as encourage their independence and self-confidence”, says Marie-Soleil Bruyère-Girard, assistance director and manager of Squat Basse-Ville’s residential services. 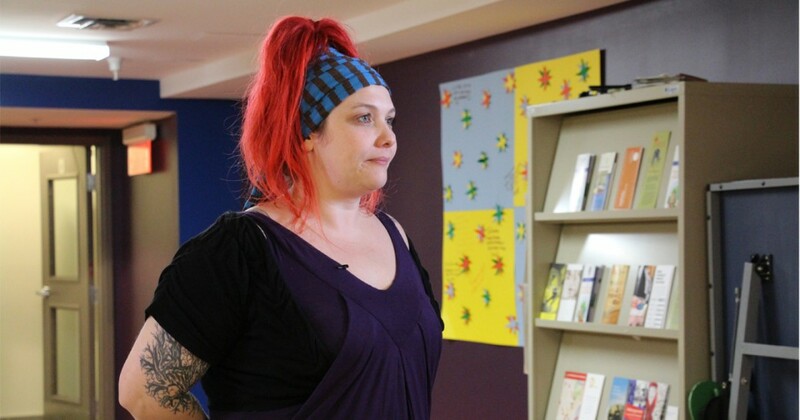 SQUAT Basse-Ville is the only organization in Quebec City that works with troubled teens. “Ongoing support from the LÉGER FOUNDATION means a lot. Financially we couldn’t survive without it, and from an organizational perspective we also benefit from their professional expertise and knowledge,” says Marie-Soleil. This article is from the winter 2017 edition of the HOPE FOR THE HOMELESS newsletter. To read the full version of the newsletter and discover all the documents published by the LÉGER FOUNDATION this year, visit the Publications section of our website.